I have been in love with the Z car since the first time I saw a 1970 240Z in the early 1970s. It would be a few years before I could afford my first one, but after that I was hooked. It was a 1973 240Z in burnt orange. After the purchase, I found out that they were prone to have rust problems, and this one was a total rust bucket. I learned a lot about what to look for in my next purchase of the Z icon. I have owned more than 70 Zs over the years, including 240Zs, 280Zs, 280ZXs and 300ZXs. My collection obsession included daily drivers, limited edition models, parts cars and race cars. My shop is full of parts and cars — spanning all generations of the most popular sports car ever sold. 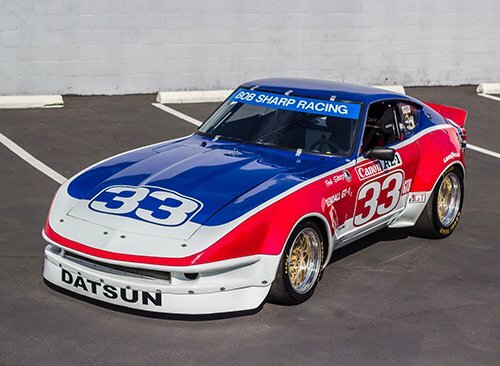 My favorite Z was a 1973 240Z that went through many transformations over the years before becoming an all out race car. It started as a brown daily driver with rare Minilite wheels. It was sitting on a used car lot and reminded me of the famous Z racer (my idol) Jim Fizgerald’s own street car. I autocrossed it for a few years, then got the bug to get more involved in racing it. So I did a total restoration with an engine rebuild, suspension upgrades and bright fire engine red color scheme. I raced it in sport timed runs with the Historic Sportscar Racing group (HSR) for a number of years and won the championship in 1992. I then embarked on a 13-year project to build an IMSAGTU replica like the one Sam Posey and Bob Sharp drove to the GTU championships in the middle 70s. I built a 3.1 liter motor with triple 50mm Mikuni carburetors, G nose body kit with large flairs and huge BBS wheels. It was a large investment in time and money but a labor of love. 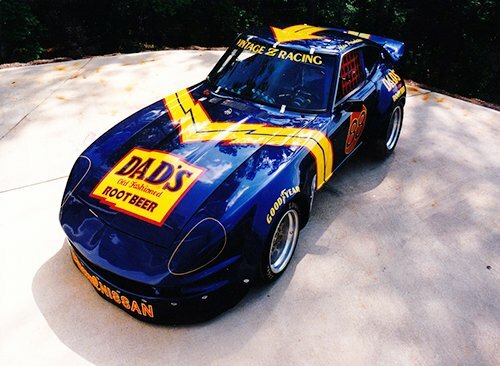 I got sponsorship from my employer at the time, Dad’s Root Beer. To this day, many people remember the car in that livery. Finally the day came to sell it, and none other than Bob Sharp himself bought the car. He changed the paint color to his famous BSR paint scheme. What a privilege it was to have someone I had followed and admired for years want to buy my car. He has become a dear friend through this sale. These days, I dismantle and restore Zs with my concentration on the first generation 300ZX models (Z31). I have a 1988 300ZX Turbo SS Shiro Limited Edition (1 of 1002 built) and three 1984 300ZX Turbo 50th Anniversary Limited Editions. One has only 70,000 miles on it. My driveway, garage and shop are always filled with Z cars. My basement has one of the largest collections of Z memorabilia that I know of. So I am offering parts, cars, and memorabilia for sale through this site for all who have caught the Z bug like I have.